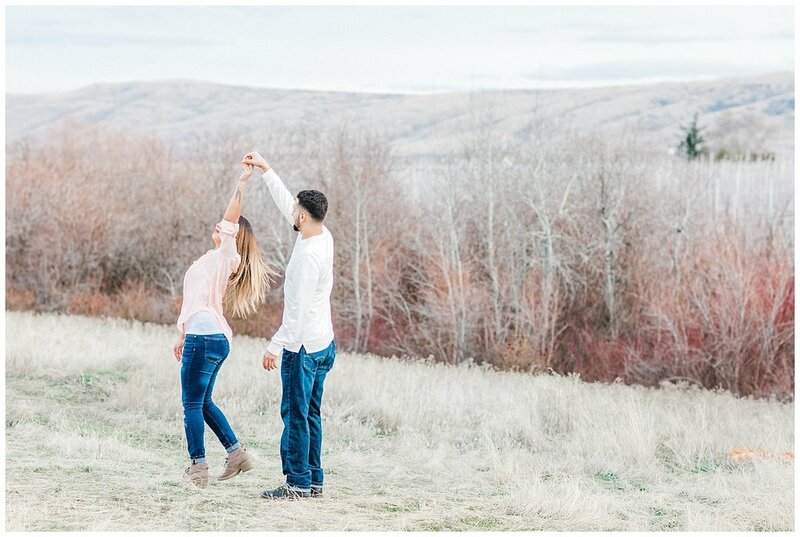 Engagement photos are some of my favorite sessions. 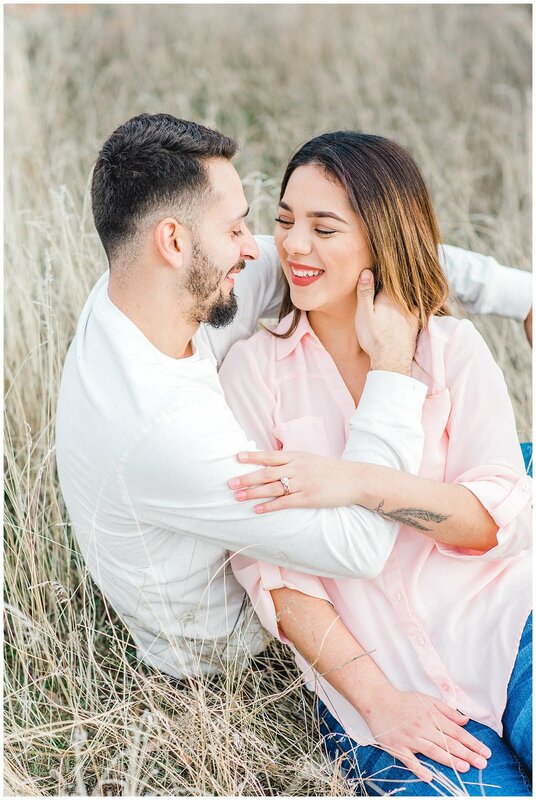 They don’t have the pressure and time sensitivity of a wedding day so I really use the time to get to know my couple, we get to joke around, get goofy and most importantly we get to have FUN!! 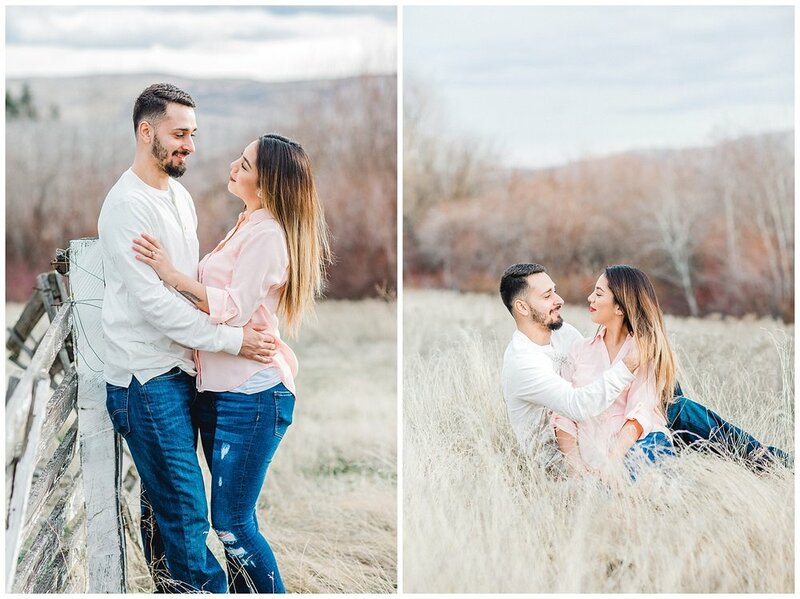 Veranique and Brandin came out to my brother-in-law’s farm in the West Valley area of Yakima on beautiful “Swede Hill” to do their engagement photos. I am always amazed at the beauty each season brings to the farm. 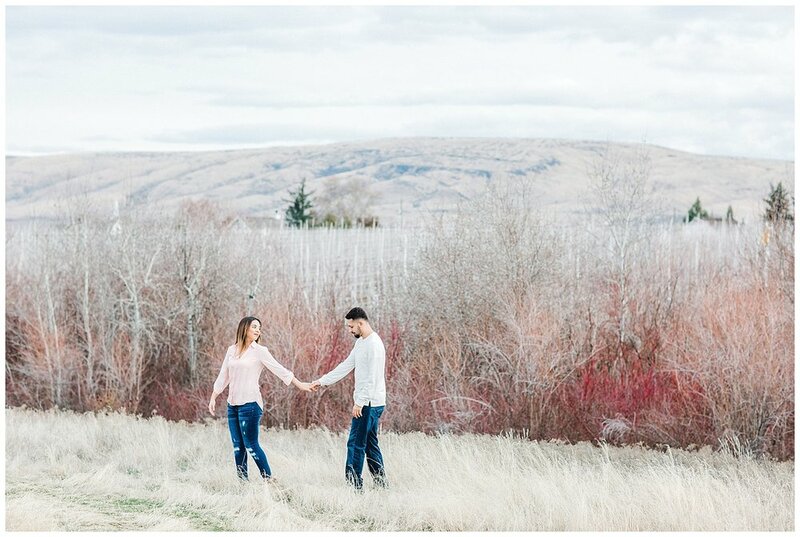 The winter air was fresh and crisp and the colors were muted and went perfectly with Veranique and Brandin’s pastel wardrobe choice. All of the leaves had fallen from the trees and made a beautiful neutral winter backdrop for photos. 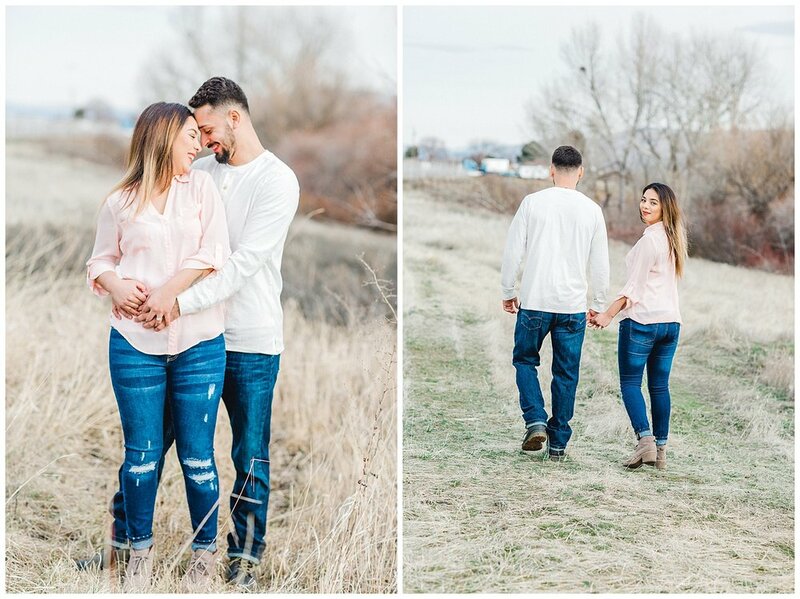 I loved working with both Veranique and Brandin, they were complete naturals, they seemed SO comfortable in front of my lens and it made my job super easy! 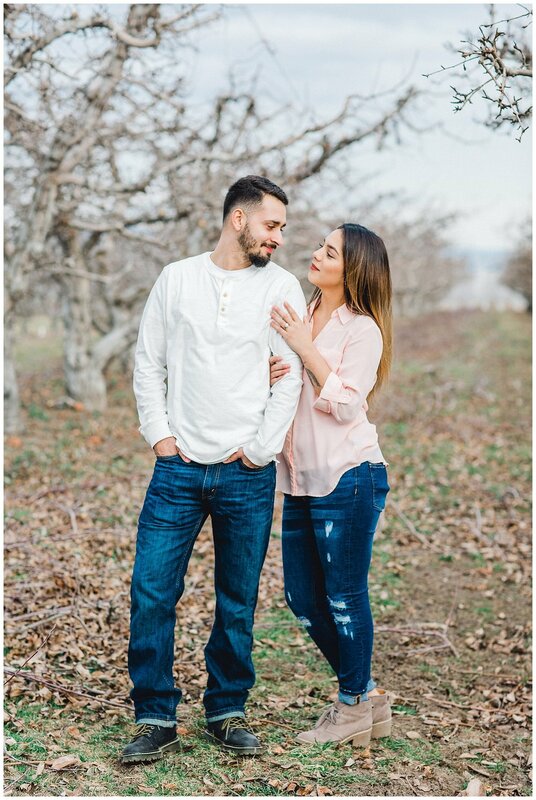 Brandin said they were gearing up for their summer wedding in Naches, WA at Fontaine Estates Winery and one of the most exciting things they told me was they are having a TACO BAR!!! YES! I can tell they are a laid-back couple who know how to have a good time. 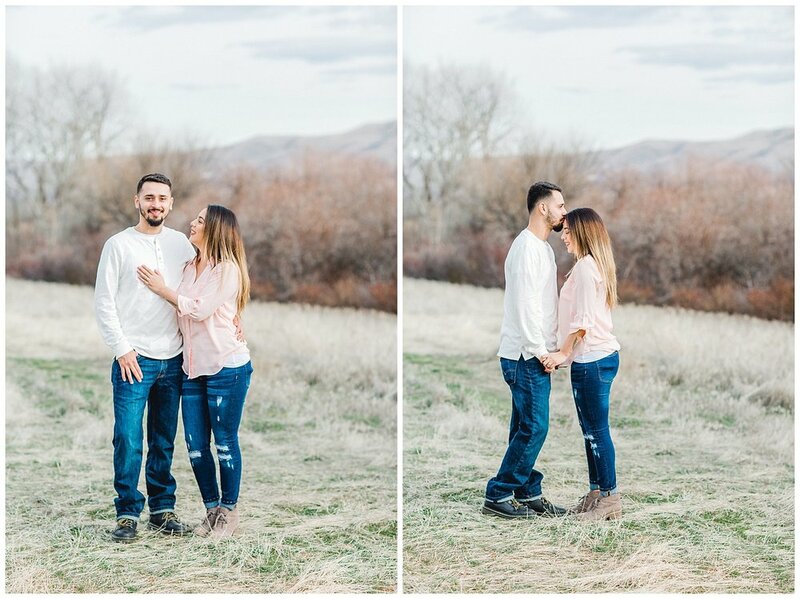 We absolutely nailed the engagement session and I can’t WAIT for their June wedding.